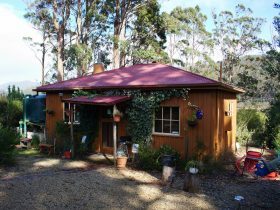 The Award Winning Storm Bay B & B and Cragganmore Cottage are situated at White Beach on the Tasman Peninsula. 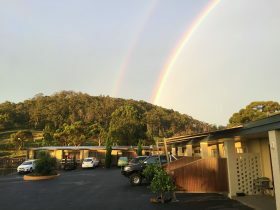 Set on four acres overlooking beautiful White Beach, the main Guest House accommodates up to eight guests and offers the most stunning views across Storm Bay to Bruny Island, and the Hartz mountains. Guests can enjoy relaxing on the deck and visits from the local wildlife that frequent the property each afternoon or relax in front of the large fireplace in winter. Breakfast options are available for a small surcharge. Cragganmore Cottage sits within the property and is a self-catering, spacious, two bedroom cabin that sleeps up to four people. The cottage has a deck with BBQ and outdoor seating so guests can relax and take in the scenery. 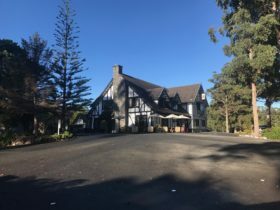 The Port Arthur Historic Site, Three Capes Track commencement point, Cape Raoul, Cape Huay, Shipstern Bluff, Remarkable Cave, Tasman Island Cruises, Osborne Helicopters, Federation Chocolate Factory and many other tourist attractions are all within a short drive from the property. 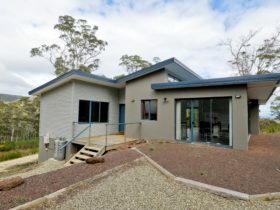 Storm Bay B & B is a Tasmanian experience that you will simply love and is only a 90-minute scenic drive from Hobart. Acacia room is a spacious room with a king size bed, large flat screen LCD TV with Netflix, tea and coffee making facilities and private balcony. This room has amazing views to Parson’s Bay and Wedge Bay and access to the garden. The apartment is a fully self-contained two bedroom cottage that sits just below the Storm Bay B & B property. It has open plan kitchen, full size refrigerator dining and lounge area with one bathroom. The cottage has a wood fire place, large flat screen television, DVD player and DVDs. 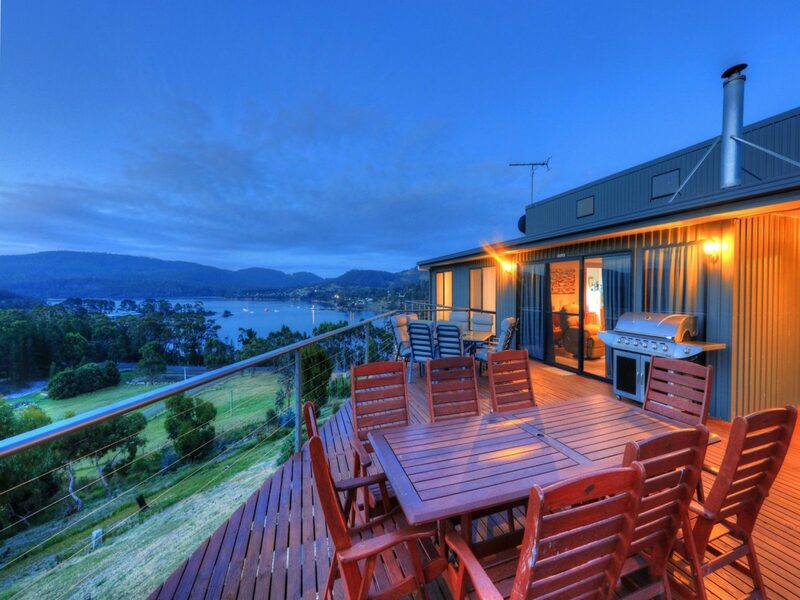 It also has a large deck with water views, barbecue, outdoor furniture and private car park. Free Wifi is available. Bayview Room has a King Bed, Corner Spa bath accommodates two people, large LCD TV with Netflix, free Wifi, views to Parson’s Bay and private balcony. Two tub chairs provide comfortable in room seating for guests to relax. The Blue Room is a spacious room with a queen bed, large LCD TV with Netflix, free Wifi access, ensuite bathroom, and balcony. Views over Parson’s Bay and the gardens from the comfort of your bed, the seating in the room or the balcony. Pink Room has a queen bed with LCD TV, free Wifi access and electric blankets. 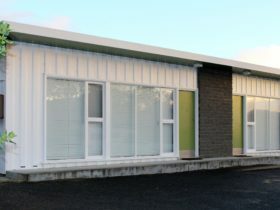 A private bathroom located across the hall, has separate toilet and shower over bath.